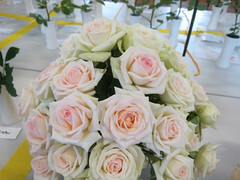 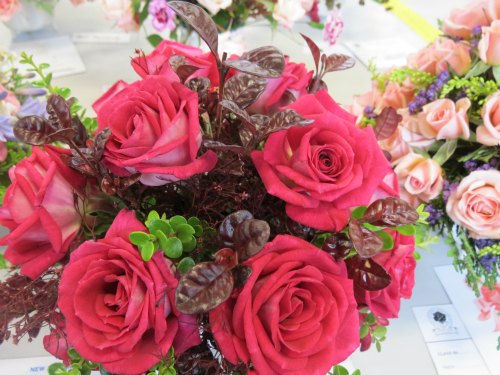 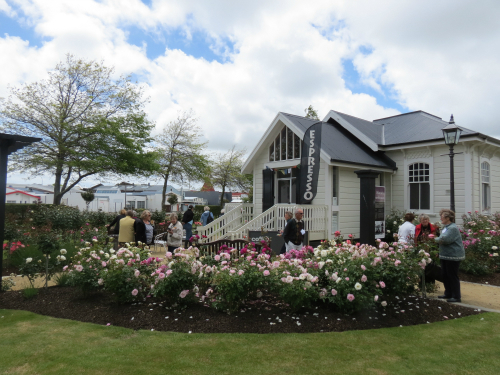 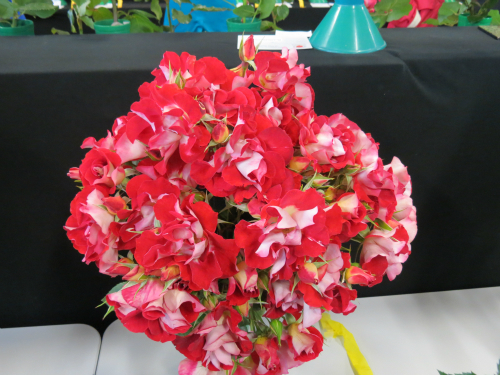 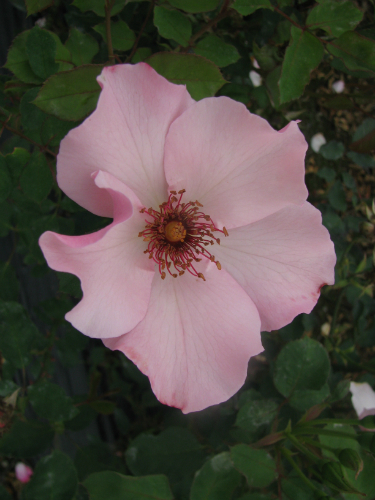 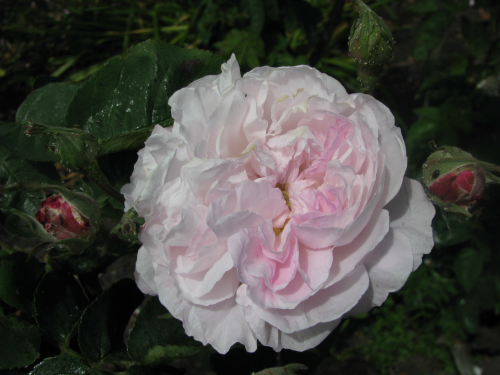 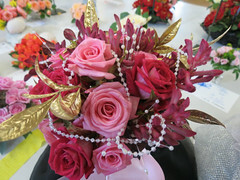 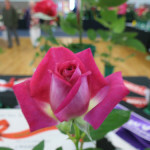 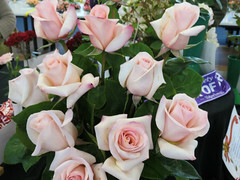 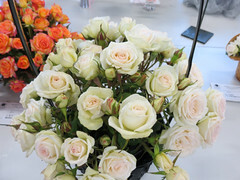 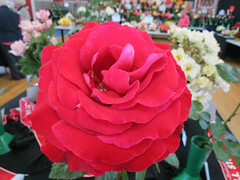 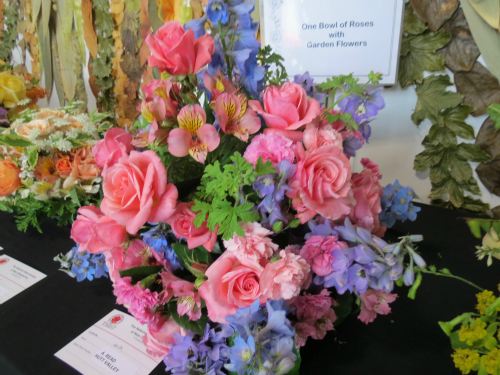 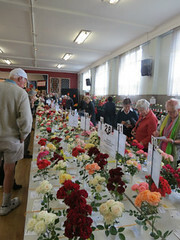 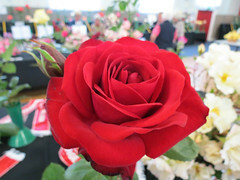 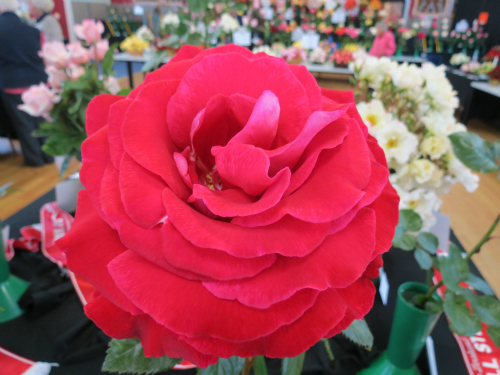 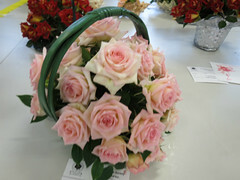 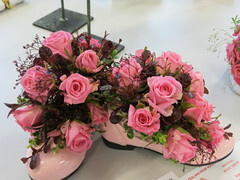 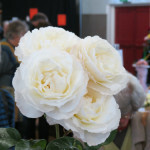 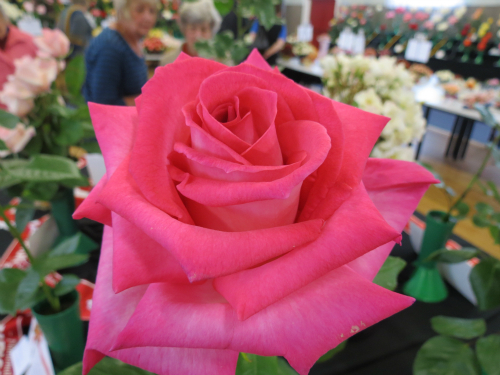 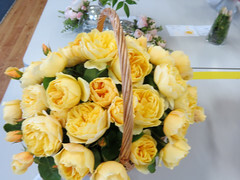 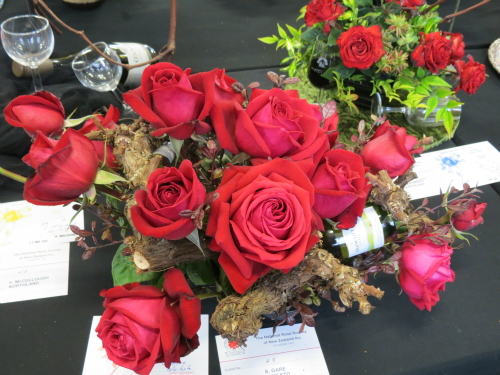 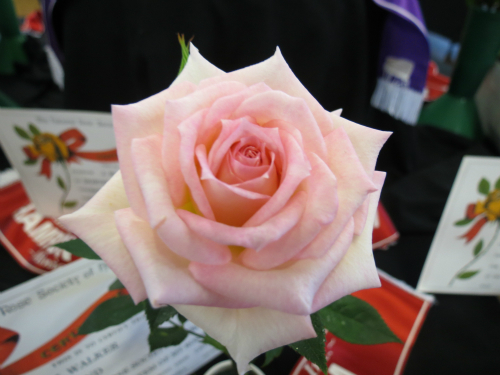 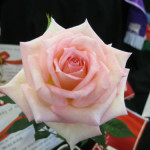 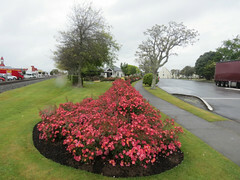 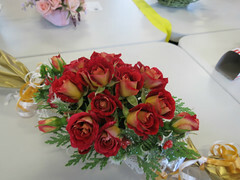 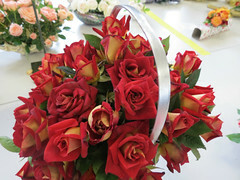 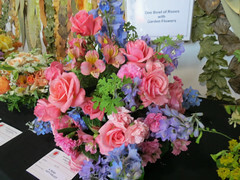 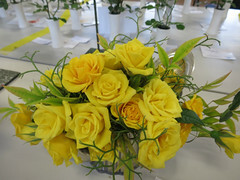 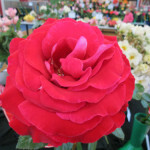 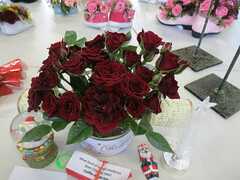 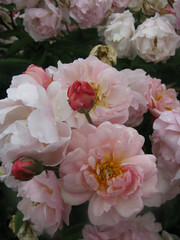 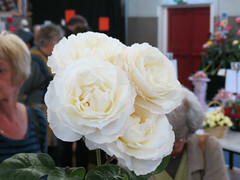 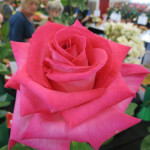 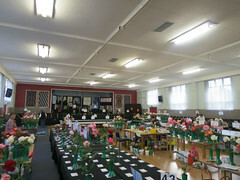 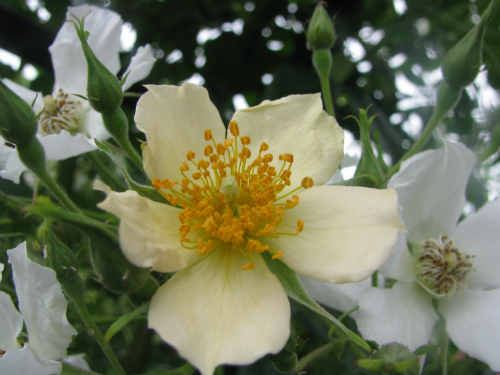 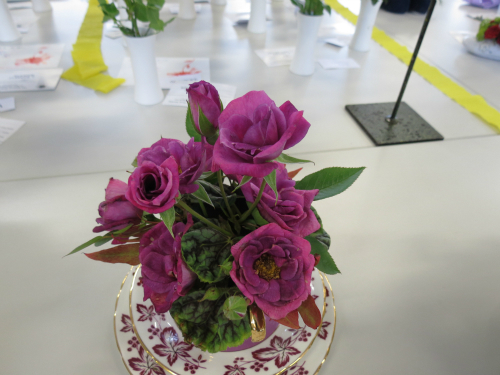 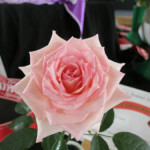 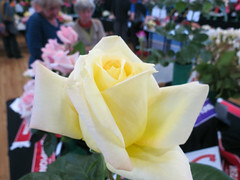 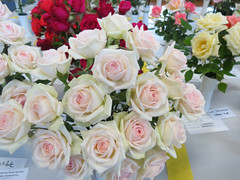 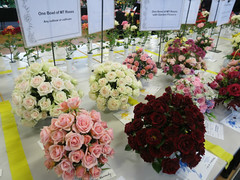 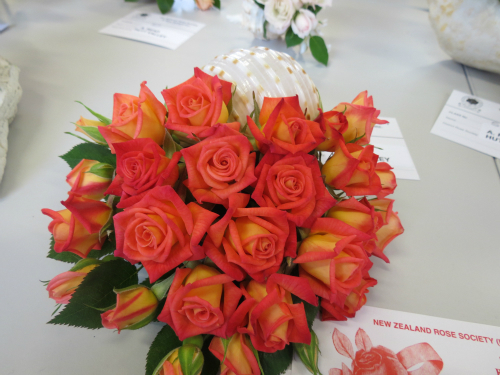 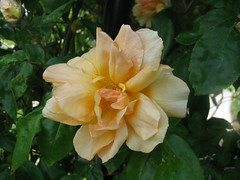 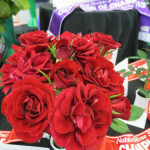 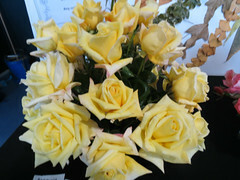 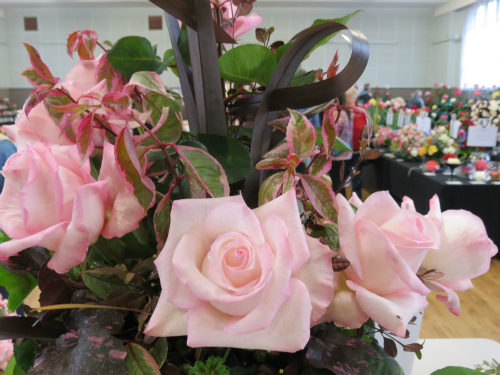 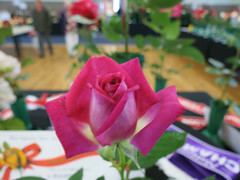 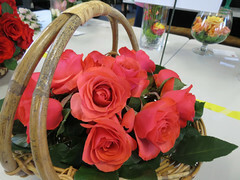 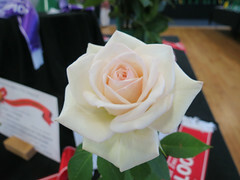 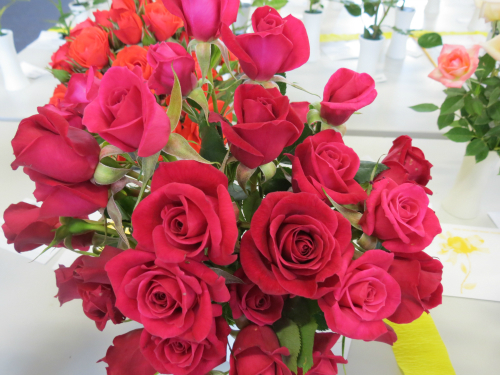 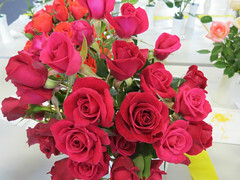 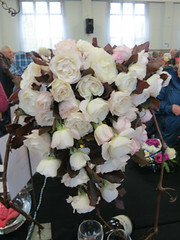 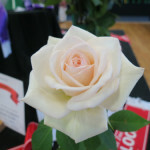 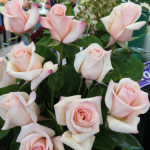 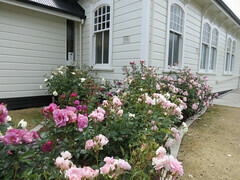 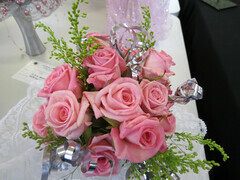 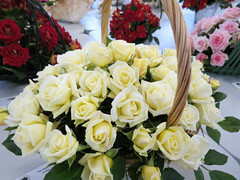 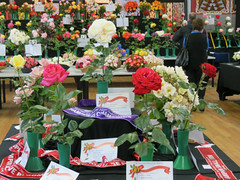 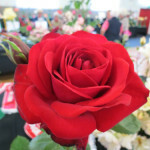 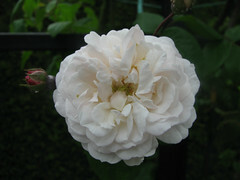 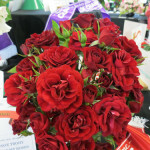 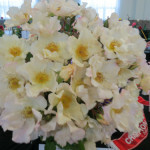 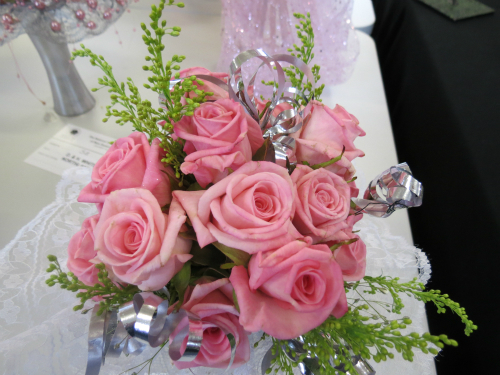 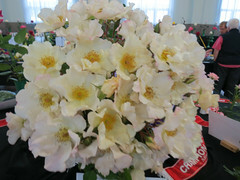 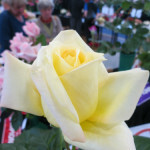 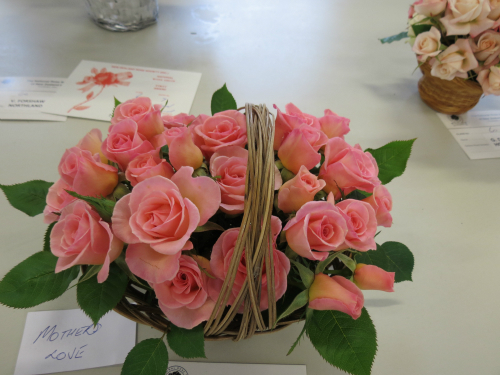 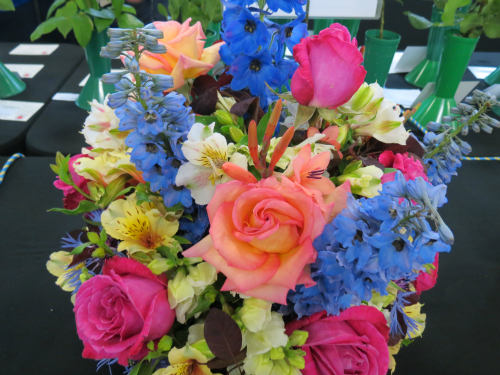 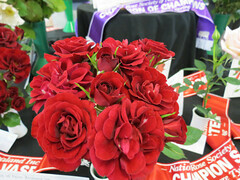 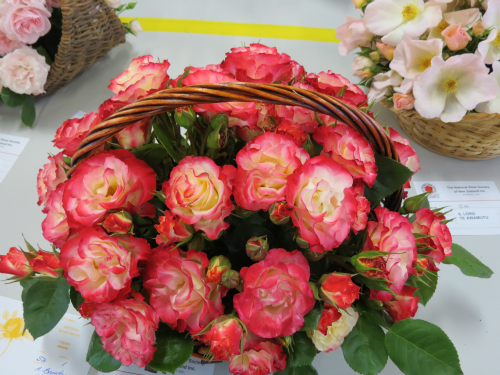 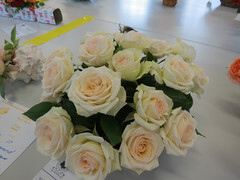 The Horowhenua Rose Society hosted the 2012 National Spring Rose Show and Convention in Levin from November 16 – 18. 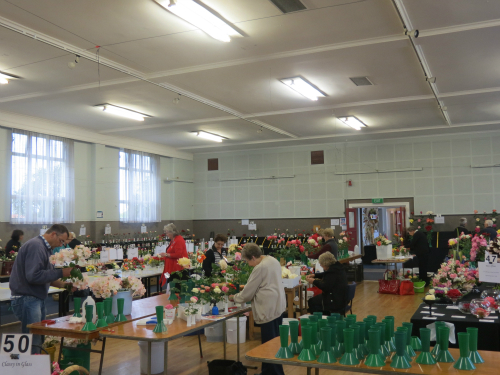 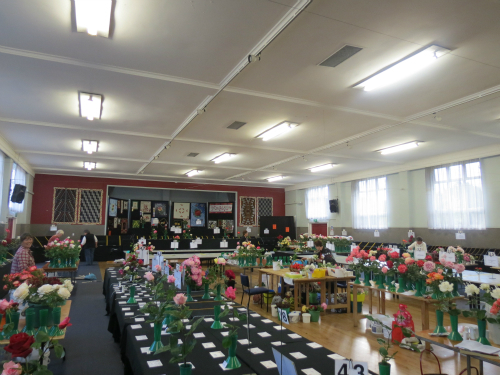 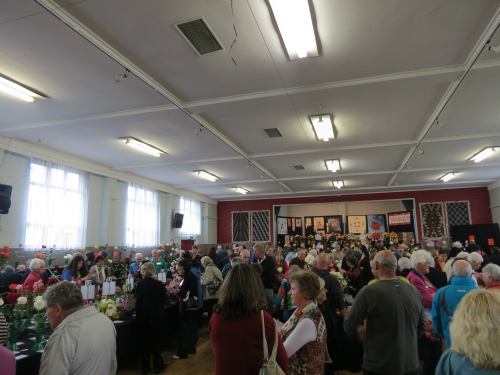 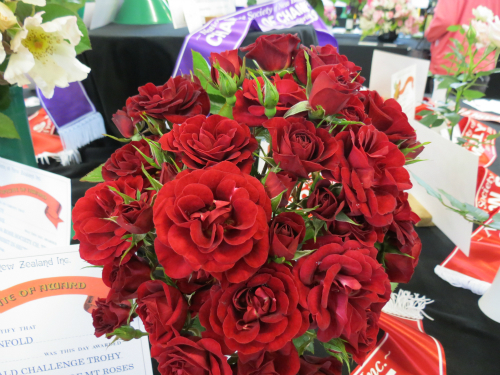 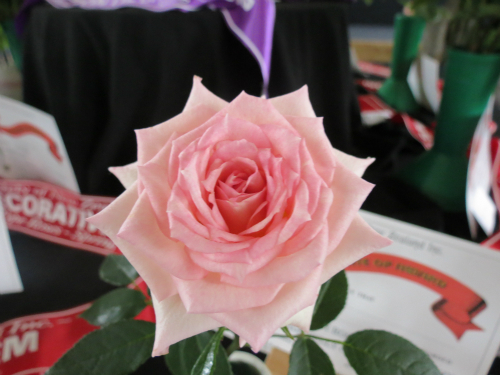 The Levin Memorial Hall was filled with roses from exhibitors who had travelled from Kaitaia to Invercargill with their top quality blooms alongside those from the local Horowhenua exhibitors. When the show opened on Saturday afternoon, the hall was soon filled with the public who came along to enjoy the wide range of forms, colours and scents. 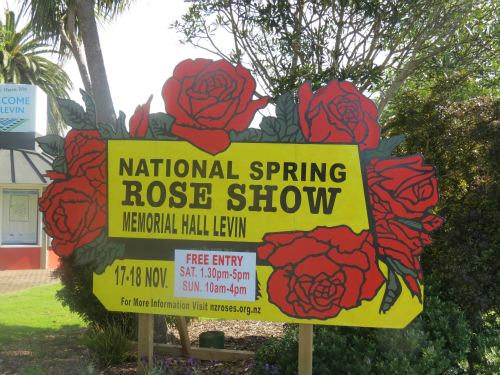 The organising committee had done a fantastic job of promoting this event around the Horowhenua district. 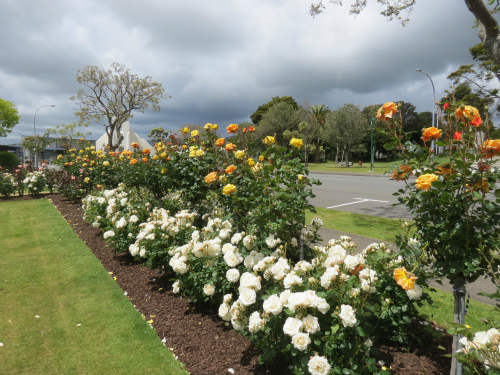 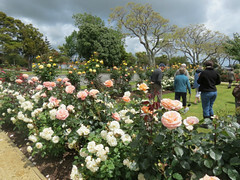 On Sunday, rosarians enjoyed a bus tour of some excellent local gardens including the Nola Simpson Rose Garden which the Horowhenua Rose Society is involved in maintaining.